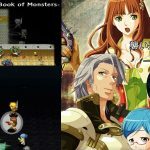 Last week, we took a look at Fantasy Chronicle, an RPG from Kemco. 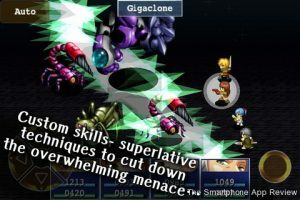 This week, we have another big hitter from Kemco, Eve of the Genesis for iPhone, which looks set to rectify some of the issues we had with Fantasy Chronicle, but can it makes it own mark in the increasingly busy iPhone RPG market? Well, I am pleased to report that this is a great little RPG that combines deep combat mechanics with lovely graphics and a fast paced story. 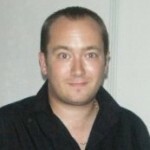 The game puts you in the shoes of a band of fighters out to stop an ancient robotic threat to their land arising again. The story is of your typical RPG fair, but it is pretty well told, and it suits the linear thread of the missions and the map well. The world is pretty big, and you are free to explore it at will, once you unlock portals and find a few keys, and it is easy to waste away a few hours exploring dungeons and leveling up. I am happy to say that, unlike Fantasy Chronicle, there are full villages to explore, with houses, shops and plenty of people to chat to, and there are even a few hidden mini dungeons in some of them to find and beat. The only problem I had with the shops was the need to come out of the shopping screen to assign weapons and armour. The only let down is the lack of any real side quests, but there are plenty of items to find, such as weapons, materials and books that add a bit of extra back story to the game. The game features a great upgrade system that is at once accessible and yet pretty deep. Each character has special abilities that can be upgraded if you use a certain amount of gems on them. From simple upgrading to the ability to diffuse and and duplicate powers, it is pretty fun to try and explore the land to find as many gems as you can to unlock all the powers. The powers range from simple massive attacks to scanning and healing spells and upgradable fireballs. The weapon and armour systems are more traditional and simple, but certain weapons can give stat boosts in extra areas, such as agility and magic. 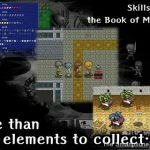 Getting the right combination of tools for your four warriors is very important, as is the need to make sure each character has a specific job in battle. Battles are turn based, and random for the most part, although there are a few enemies that you can choose to fight. The battle are also really attractive, with well drawn sprites and nice backdrops, although the enemies could do with a bit more animation. It is worth spending the time leveling up, as after a few hours the game does ramp up the difficulty level, and likewise it is a good idea to try and find as many gems as you can. Most players will finish this game in around 10 hours, which is a decent length for the game. The lack of side quests is disappointing, but as I said, finding all the gems and books does provide a meta quest of sorts, and an enjoyable one at that. There are also plenty of stats that the game tracks, such as the amount of monsters killed and overall game time, and there is even a way of viewing info on all the monsters you have encountered. 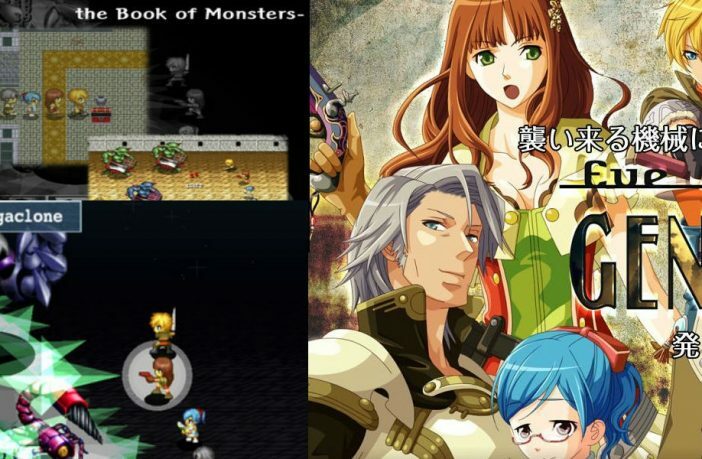 Overall, this is an excellent RPG that feels like a perfect fit for mobile. The ability to save anywhere and the auto save feature means that ten minute dips are as viable as two hour sessions, and the sparkling graphics and nice music add a lot to the game. 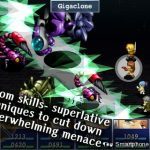 The combat and upgrade options are brilliant, and will keep you interested until the end, and I can wholeheartedly recommend Eve of the Genesis as one of the better RPG games for iPhone. Check out our reviews of Final Fantasy Tactics, Mage Gauntlet and Earth and Legend! Does the game use the virtual d-pad/joystick option, or is it more touch friendly? Hi, yes it does use a virtual pad, but it works well, as the game only lets you move in 4 directions. Some elements in menus and battles let you touch things to select them.